The exhibition is closed on Sundays, Good Friday, Christmas Eve (from 1pm), Christmas Day, Boxing Day and New Year's Day. The exhibition is also closed for essential cleaning and conservation work each January. 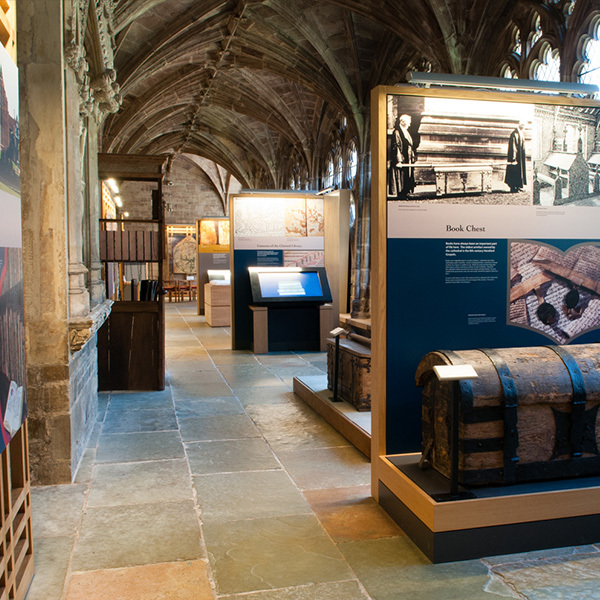 Educational visits for schools and colleges are an important part of the work of Hereford Cathedral. 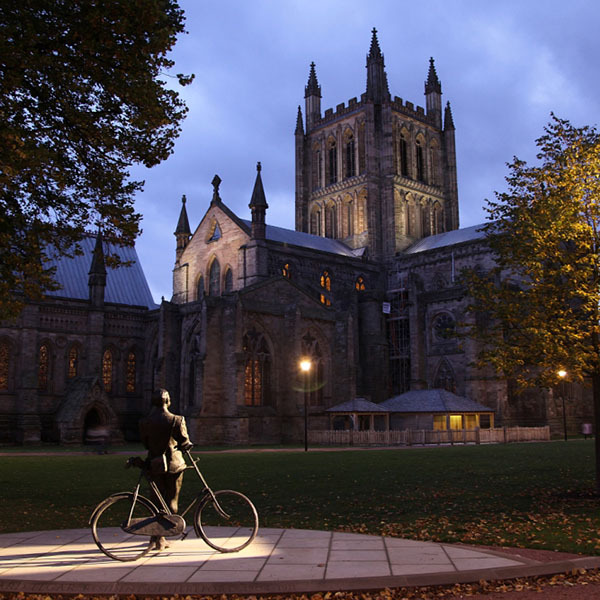 We welcome students of all ages and invite them to experience the very special atmosphere of our cathedral building where prayer is still offered today, as it has been over the centuries. Opportunities for primary school visits include workshops, educational trails and a chance to meet some famous characters from the cathedral’s past. Our high school visits support work in RE and History, with opportunities for GCSE conferences also available. For sixth forms, colleges and universities, our library and archives are available for research, and our Sixth Form Conference, exploring issues of philosophy and ethics, takes place annually at the end of the summer term. Guided visits to The Mappa Mundi and Chained Library Exhibition are available to students of all ages.